Confession time, we sometimes eat Rustlers' Burgers. 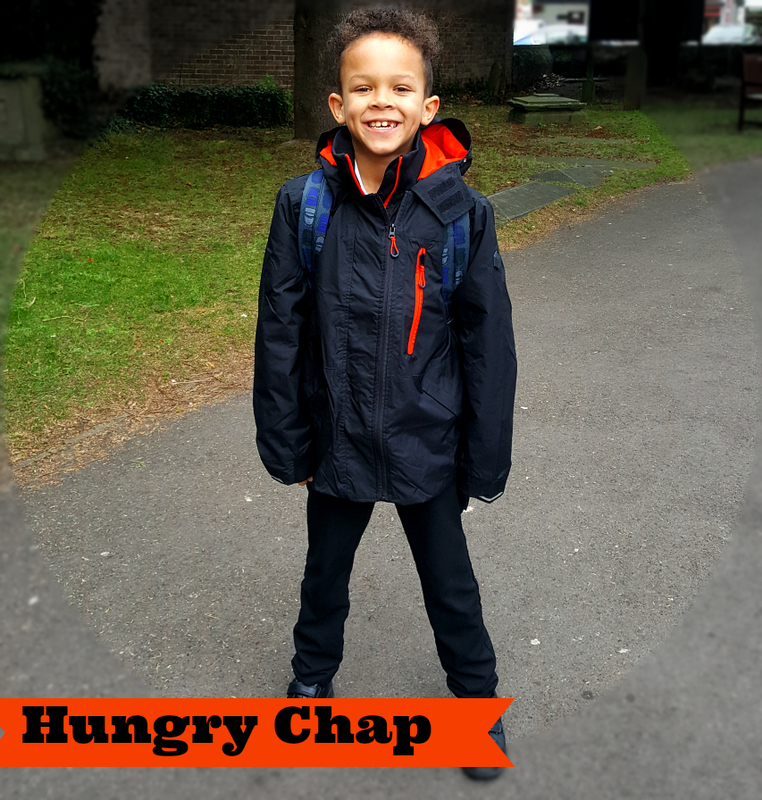 Aaron even has 1 or 2 a week in his packed lunch (one chicken burger one quarter pounder). He loves them. He's suddenly turned into the sort of boy who has hollow legs and the teenage appetite to go with it. The food disappears and you can play the guitar on his rib cage - no fears of any sort of obesity here. He outgrew Happy Meals many moons ago. There is no sign of a voice breaking soon or chin hair shooting through because.... he's only SEVEN. But teenage years must be looming as he's already saying "Mum you've told me that twice already" and "Mum stop you're embarrassing me". The onset of these phrases kind of arrived at a similar time to the increased appetite. He's definitely a pre-teen. The bike I got him for Christmas said it was suited for a child with 27-30 inch inside legs, who'd typically be 10-12 years of age it also said. I thought "well that rules Aaron out" but measured him anyway. 27 inches on the button my reliable trust tape measure read. I was shocked as I am only 30 inches inside leg myself and remember discovering that when choosing my first pair of Levis in 1991 which were sold by length. The other measurement has changed over the years, coughs, waist size, coughs. Moving swiftly on, he's not as close to me in height as his legs, it turns out, are in length. He must be all legs and not much body like a spider LOL. Anyway I was glad he measured 27 inches, rather than 28, 29 or 30 inches inside leg as it means he can get the complete life cycle intended for the bike. I digress, back to the burgers. 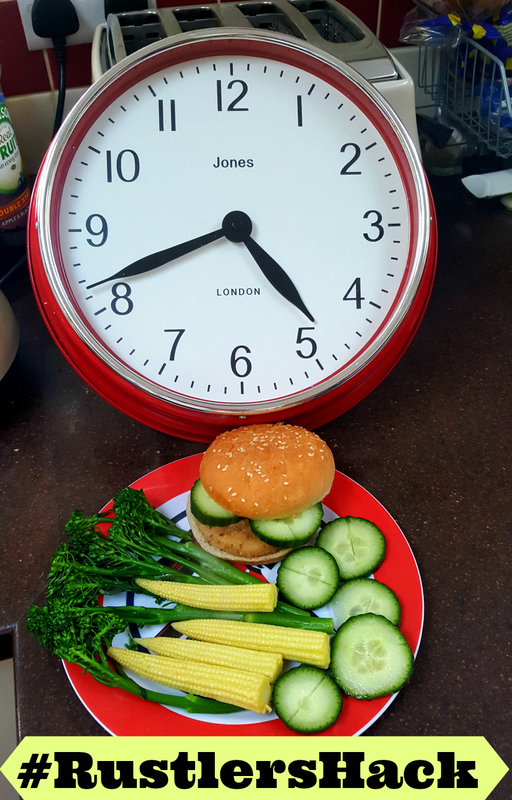 I accompanied his recent burger (not a packed lunch one) with his favourite vegetables: baby corn and broccoli and some cucumber to nibble on. The tenderstem broccoli and baby corn are both ideal as they take not much longer to steam than the burger takes to microwave. So if they go in at the same time it simply means the burger has time to cool down. Whilst both are cooking there is time to chop the cucumber. I am a big believer in greens for alkalinity and raw veg like cucumber for not only that but also its water content, which is so very beneficial to our often dehydrated bodies. Speaking of that Aaron's just this minute come home from holiday club and despite my giving him a HUGE drink he's come home so very thirsty. We bought the Rustlers' Southern Fried Chicken Burger Twin Pack from Tesco which is currently £2.50 for the 2 burgers. It comes with a sachet of delicious lightly peppered mayo which I keep for myself as Aaron prefers Ketchup with pretty much everything. As you can see from the use of my clock in the pics above this meal took from 16:31 to 16:41 to prepare including the steaming, chopping and presentation and that's despite me trying to take these photographs too. It's a handy meal to have at your disposal if you're dashing between the school run and football as we are every Friday. In fact we always seem to be dashing somewhere. Although I usually avoid microwaved food with Aaron knowing he's got a burger inside him reassures me that he won't be snacking on other stuff, so it works for us. He's not really a "sweets" person and favours chocolate and crisps, both of which I manage the quantities of. 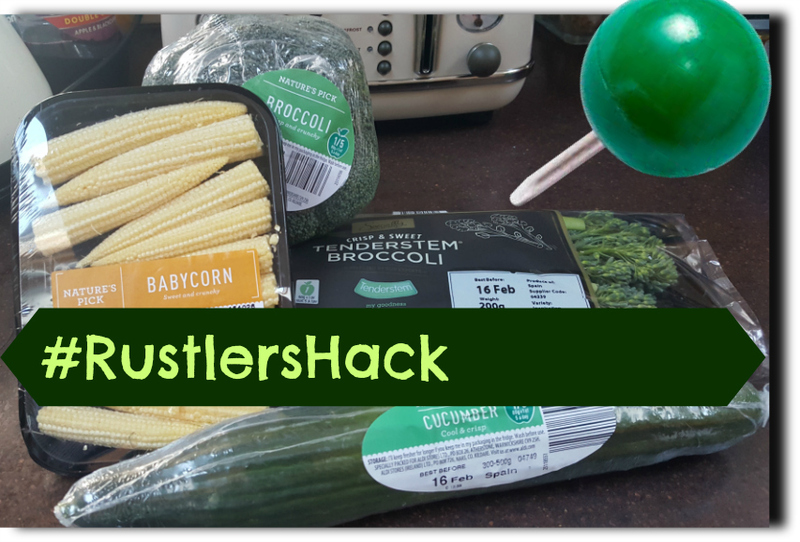 I couldn't find the Rustlers' Southern Fried Chicken Burger on the Rustlers' Online Website so presumably it is unique to Tesco so I am glad Britmums sent us a Tesco voucher. 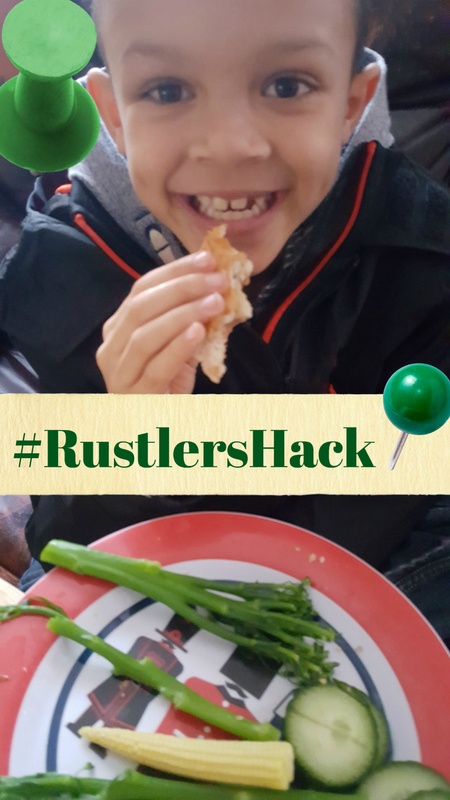 This post is an entry for Britmums Rustlers' Burger Hacking Challenge sponsored by Rustlers.